German journalists working in China notified German chancellor Angela Merkel that threats from official Chinese authorities on journalists are increasing. They asked her to voice the issue in the upcoming bilateral talks with the Communist Party of China (CPC) leaders. On Sunday, German journalists based in China wrote to Merkel, asking her to raise the issue of deteriorating conditions for reporters here with the country's leaders. Merkel, who will be coming to China for the second time this year, is slated to have talks with Premier Wen Jiabao and other leaders during her two-day stay in Beijing. In the letter, German journalists have complained that Chinese authorities had been 'willfully obstructing their work by threatening to not renew working visas, intimidating Chinese assistants and pressuring interviewees into not talking to them. "Long-term German correspondents who have been working in Beijing since the 1990s have been observing a deterioration of the situation, even in comparison to the conditions then," said the letter, which is signed by 26 correspondents. "Dear chancellor Merkel, in the interest of good and fair reporting about China, we think it is necessary to discuss these issues at the highest governmental level. "We just request the same working conditions that Chinese journalists enjoy... in Germany." Earlier this month, a German television crew in Henan province was alleged to have been attacked by a mob, accused of being spies and detained for nine hours at a chemical factory before being released. Several journalists from international organisations were assaulted and intimidated recently, foreign press associations of China later said in a statement. In a statement, The Beijing-based FCCC, along with its sister organisations in Hong Kong and Shanghai, said the incidents represent a "clear risk of serious physical harm to journalists merely carrying out there professional duties in China." The state media tried to play down the incident, saying that not only foreign journalists but local reporters also face problems in sourcing information. 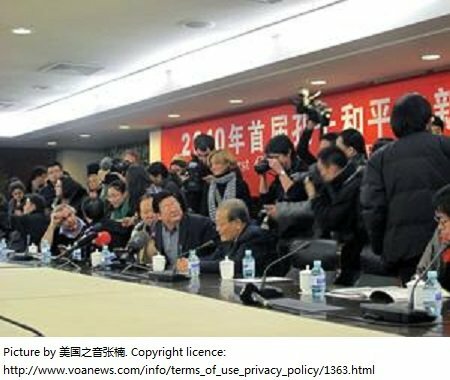 "When reporting on sensitive issues in China, it is hard for both foreign and domestic journalists to get information, because under pressure to protect local officials' interests, local governments may not act in line with the central government," Zhang Zhi'an, an associate professor with the School of Communication and Design at Sun Yat-Sen University, told the Global Times.